Hundreds of fire chiefs across the country have said that EVERYONE should have a reflective address sign. 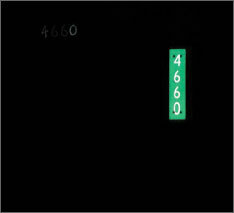 The reflective address signs clearly mark your address for all emergency personnel to identify easily both day and night. Statistics show that he survivability of someone suffering a stroke or heart attack diminish substantially in the first hour after the event, dont let that happen to you or your loved one. Find another neighbor or two and drive your roads at night just to prove to someone else that you really do need reflective signs. Now you've created your sign team. Plan an evening meeting with the help of the local fire department to bring as many neighbors as possible on board. It's OK to discuss all kinds of other safety issues like fire safety and burn permits, etc. 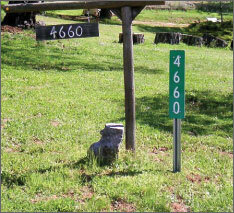 Call homeowners on each road and ask for one volunteer to be prepared to purchase a street sign for their road. Then ask them to call on their neighbors to help reimburse them or pass the hat at the next social event.